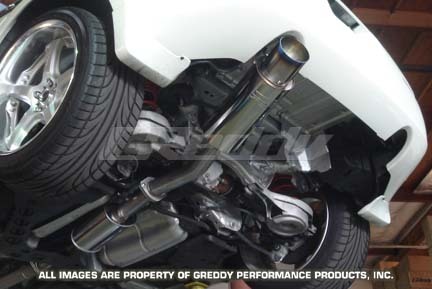 If you have a Z and are looking to shave get a better sound and pick up some style points you should check out the Ti-C exhaust from Greddy. It has an awesome sound and features Titainum heat treated tips that look good when paired with any OEM color. There are actually many applications for the Ti-C exhaust so even if you dont have a Z theres still a good chance you can get this for your car.